The importance of updating your website cannot be overemphasized. Your website is the cornerstone of your online marketing strategy! Providing fresh content and updates are vital to its success. Here are answers to some frequently-asked questions like how often to post new content and what type of content we like best. Our favorite way to take advantage of these benefits is to add a blog to a website. A blog gives you the easiest environment to add new content to a website. 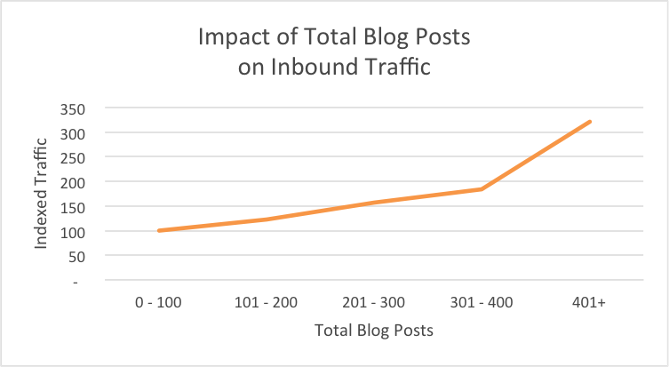 Here are 19 impressive statistics that show how blogging helps your core business strategy. How often should I update my content to get these benefits? Content isn’t restricted to written blog posts any longer. Diversify your content with video, audio, infographics and more to see what your audience responds to the best. The short and unsatisfactory answer? It depends. Your content strategy should be uniquely based around your website and company goals. Content strategies take significant time, manpower, and money. If you want results, be ready to invest in those items. That being said, here are some places to start. If your website covers trending topics, like sports, celebrity, news, and more – then adding new content as often as possible will be your best strategy. Aim for several times a day to keep up with breaking news topics. If your website covers more evergreen content, or content that stays relevant to its readers for a long period of time, you can get away with less frequent content updates. A good place to start is between 1-3 times a week. 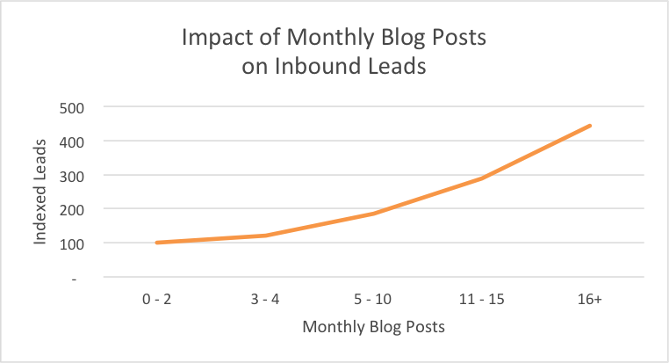 This study by HubSpot found that websites who posted new content more than 16 times a month generated 4.5 times more leads than websites who posted less than four times a month. The simplest way to find out how often to post new content is to experiment with different frequencies. Try posting once daily for two weeks. Then try posting only two times a week for two weeks. Finally, post two times a day for two weeks. Which week generated better results? Page traffic – how many people were visiting your site? Page engagement – how many people were sharing and commenting on your content? Conversion rate – how many people followed through on the CTAs within your website? While page traffic is important, the most important metrics are those that show engagement and conversion. If you got better conversion rates while posting less frequently, don’t overextend yourself to post more often! Cornerstone content is the highest-performing content on your website. Frequent content updates are important, but quality always beats quantity. Don’t post low-quality content just to meet a specific monthly quota. Instead focus on quality content that can evolve into your future cornerstone content. HubSpot measured their content stats and found that 90% of their leads actually come from older posts! They also found that websites with more than 400 total articles got three times the traffic of websites with less than 100 articles. If you notice an older post on your website is getting more engagement than a newer post, try repurposing that old content! Add a different component to the article, like presentation slides, audio, an infographic, or even video. This counts as fresh content too. If you notice certain content is highly successful on your website – promote it in other marketing channels as well! These channels might be social media or an email campaign. Web visitors are telling you this is their favorite content, so you should support and promote it every chance you get. Fresh content has countless benefits for search engine optimization and lead generation. If you don’t currently have a content strategy, there’s no better time to start! A blog is the easiest way to post fresh, frequent content to your website. Find out how easy it is to add a blog to your website! Contact us today for a FREE quote! The answer to this will not effect how we quote your job, but will help us to identify the most appropriate solution that is considerate of your budget.